TORONTO, Aug. 20, 2014 – Global Pet Foods, through their Global Pets & Animals Foundation, is shining a spotlight on homeless pets and the animal caregivers that work tirelessly to support them. During the month of September, Global Pet Foods® is inviting Canadians to nominate outstanding animal shelter and rescue volunteers for the 3rd Annual Heroic Heart Pet Service Award. Heroic Heart award winners will receive a $1,000 cheque to support a specific shelter/rescue project or cover the cost of veterinary bills. A $1,000 can go a long way to help an animal in need, and no one knows this better than one of last year’s Heroic Heart winners Lois Jackson from All Breed Canine Rescue. 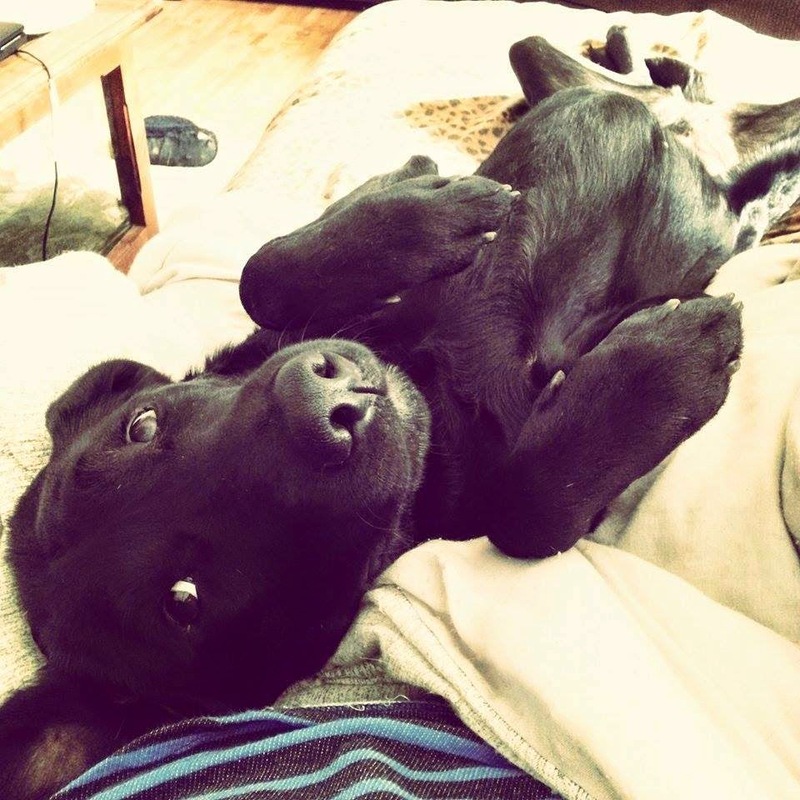 “We had a string of injured and sick dogs come to our rescue all at once last summer. It was a disaster and every dollar counted towards getting those dogs vet care,” says Jackson. One dog that found a happy ending thanks to Jackson and funds from the Heroic Heart was a 2-year-old black lab named Shawnee. When Shawnee was rescued she had very little fur left and had a severe yeast infection caused by poor diet and neglect. It took weeks of antibiotics, steroids and constant care to get her skin stabilized and healthy enough to where Shawnee could be spayed and vaccinated. Today, thanks to the devotion of Jackson, Shawnee is better than ever and enjoying a new life in her new forever home. online ballot and sharing a brief story (500 words or less) describing how the nominee has demonstrated outstanding care and compassion to homeless pets. Entrants are also encouraged to share how the $1,000 donation will make a difference to the nominees’ shelter or rescue. Nominations can be made online through Facebook.com/GlobalPetFoods. Nominations will close September 30, 2014 and a panel of judges will review all nominees’ Heroic Heart stories. 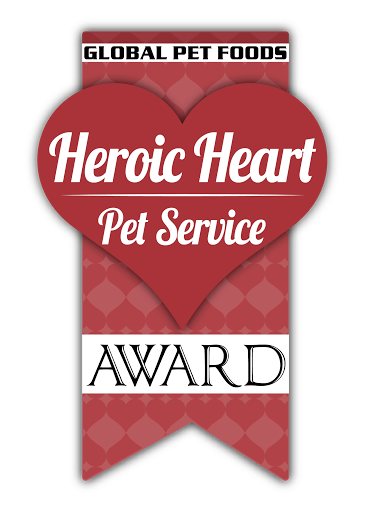 Four (4) Heroic Heart Pet Service Award winners will be selected from all entries across Canada. The 2014 Heroic Heart Award winners will be announced in early November, 2014 with an award presentation to follow at local Global Pet Foods stores. For more details please visit Facebook.com/GlobalPetFoods. The purpose of the Global Pets & Animals Foundation is to raise and distribute funds for deserving pet-related registered charities across Canada. Typically, these charities are Animal Shelters and Pet Rescue groups who provide ongoing care for unwanted, sick, and abandoned pets, as well as help facilitate adoptions to those people and families who wish to adopt a pet. Global Pet Foods is the largest Canadian-owned chain of specialty pet food and supply stores. Their philosophy is that caring for pets must include these four elements: Mind+Body+Soul+Spirit. By offering a unique and wide selection of wholesome pet food, accessories and supplies that encompasses these four elements, they are committed to helping pet parents make informed decisions for the total health and well-being of their companion pets.